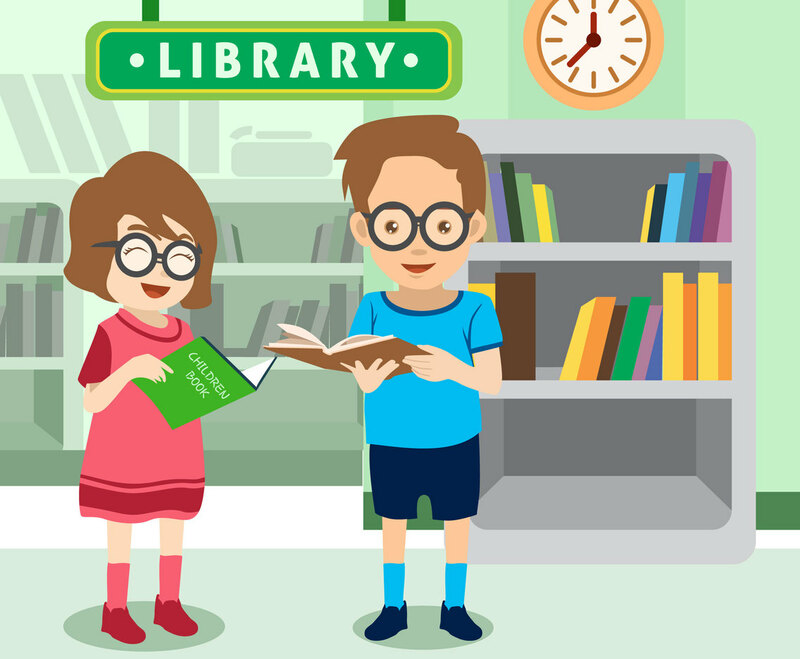 A boy and a girl in children library vector illustration. They are reading book and you have a few bookshelves in the back ground of illustration. This vector set can be good as design element of poster design that promotes reading activity to children or infography about reading activity at young age.